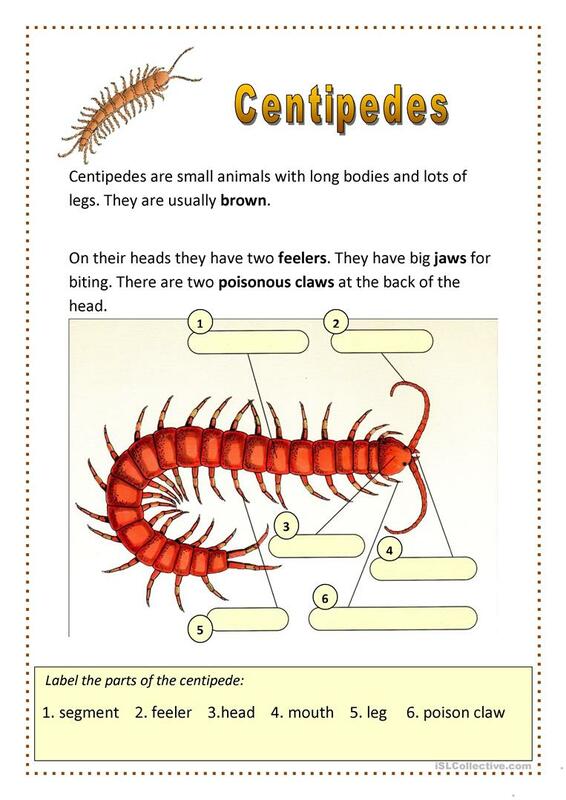 Worksheet with interesting facts about centipedes. 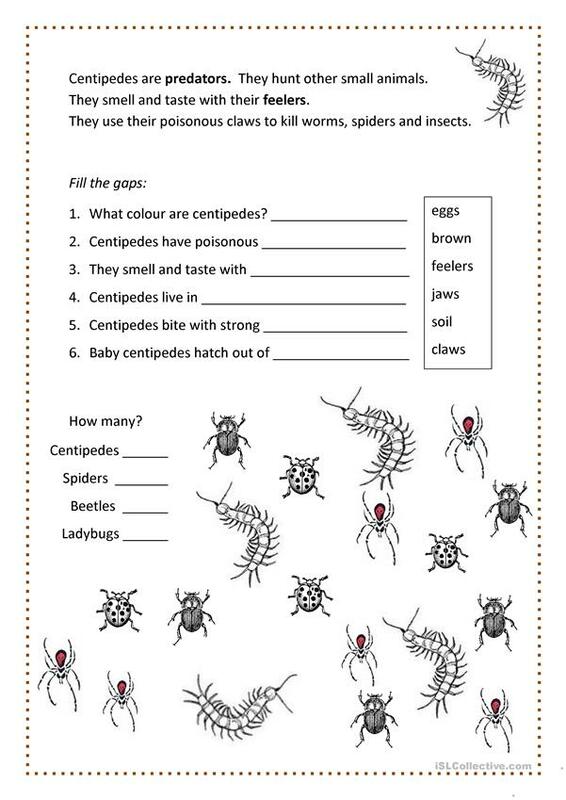 Contains easy writing and counting exercises. The above downloadable worksheet is best suited for elementary school students and kindergartners and nursery school students at Beginner (pre-A1) and Elementary (A1) level. 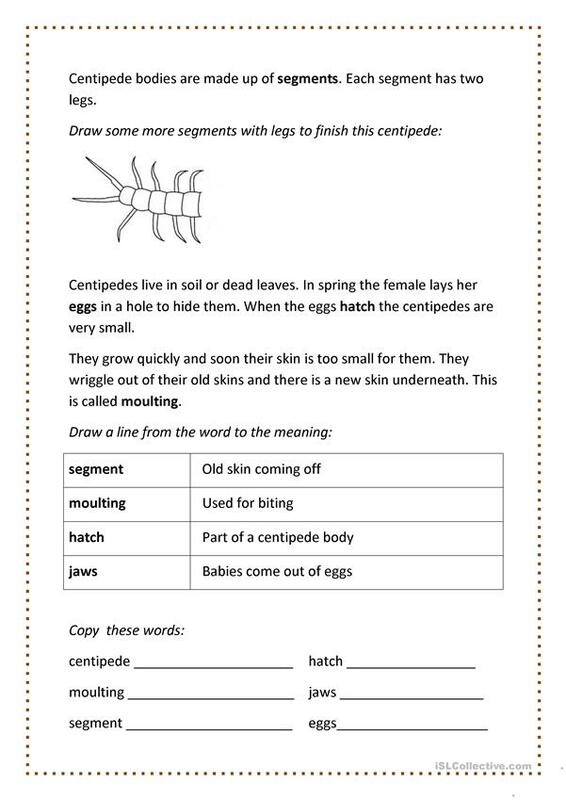 It is a valuable material for developing your students' Reading and Writing skills.